Designed specifically for the 2018 RMZ450. 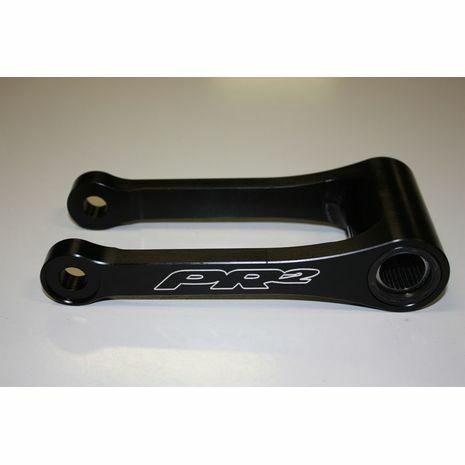 PR2 Racing Technology's works billet linkage system is 1.5mm longer than the stock pullrods which is intended to improve the balance of the bike by lowering the rear end to get the weight off the front wheel to allow for better steeering and handling. Also, improving on the progression of the stock linkage curve giving it a more linear feel. Each pullrod includes all of the bearings and seals.